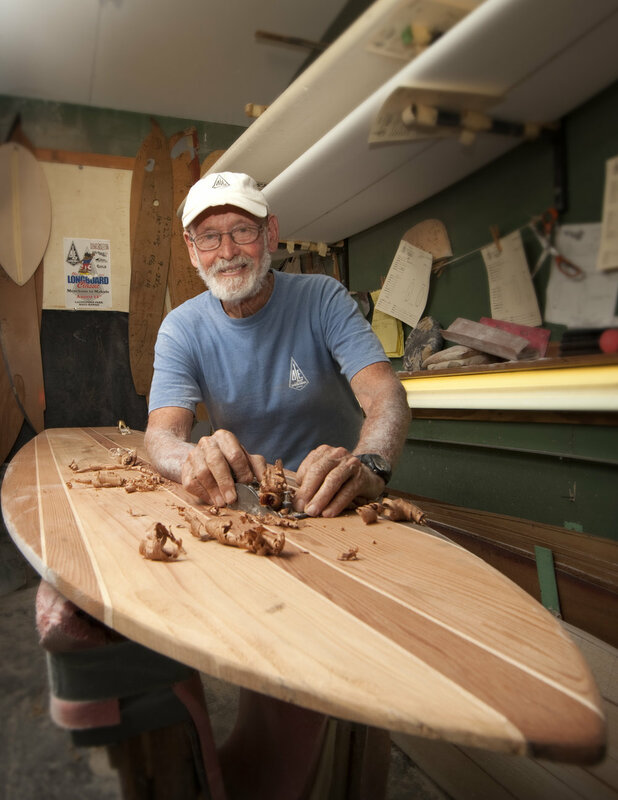 Ole Longboard Master shaper Bob “Ole” Olsen knows a thing or two about wooden surfboards, having built his first one in 1948. Are his creations art or technically-perfected wave riding instruments? We’ll leave the decision up to you, but one thing is for sure— this hand shaped Ole longboard is a TREASURE. Handcrafted from solid redwood by the legend himself, this board is shaped from antique wine vats. After years of aging wine, the wood's hue is so saturated "it's like you could wring it out and drink it" Ole says. Lustrous and stunningly beautiful, this board will make any room it graces.